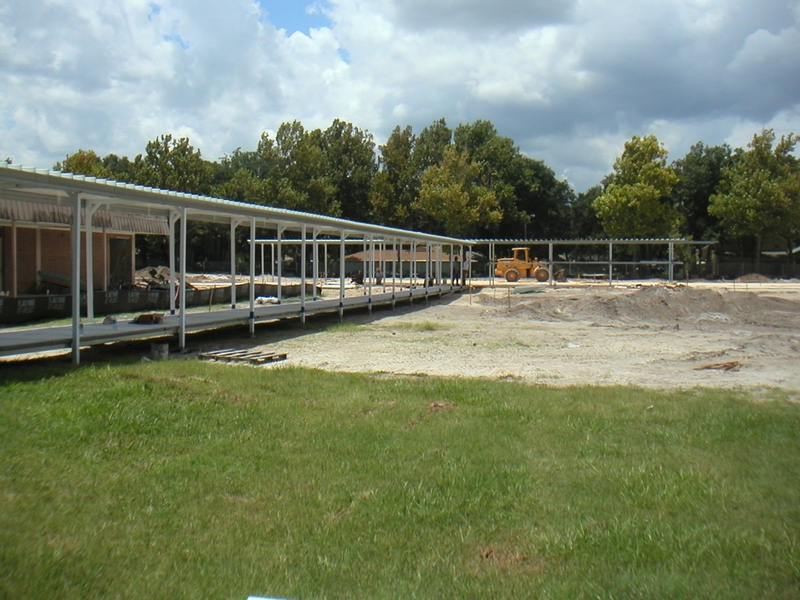 Home - Mobile Walkways, Inc.
Our system with it’s RHINO-PAN ROOF panel and FIBERGLASS SAFPLANK® pad is designed and built of modular, prefabricated sections to produce low cost, superior quality structures. 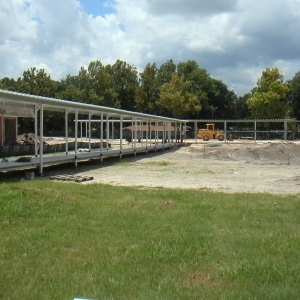 These maintenance free structures are easily installed for immediate use. 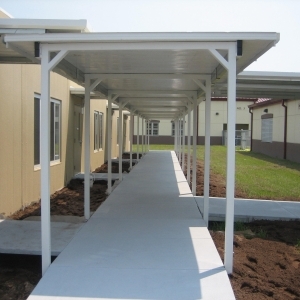 Our walkway cover and modular walkway system conforms to all ADA requirements as well as all Standard Building Codes, Florida Building Code and has a Florida Product Approval. Our patented ground anchoring technology is rated to meet any wind code in the country. 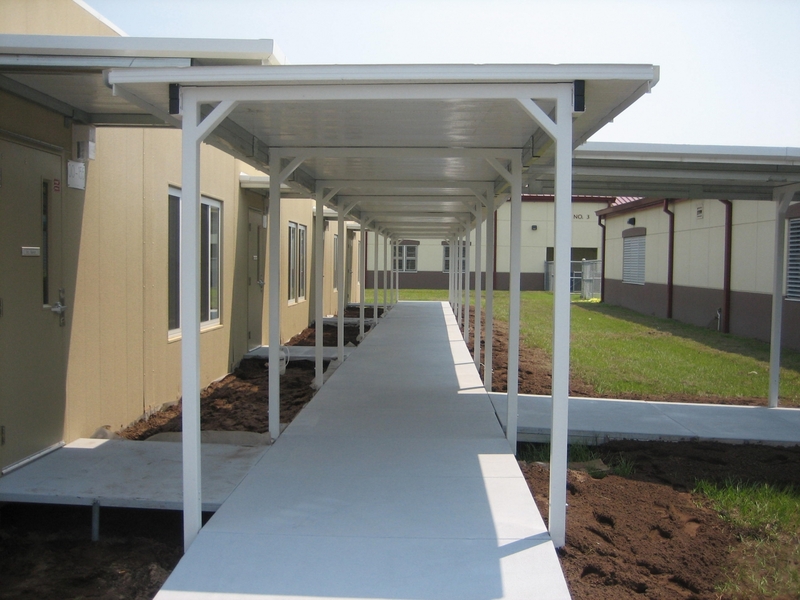 This is the perfect covered pedestrian walkway to join multiple buildings or pedestrian routes in any climate. 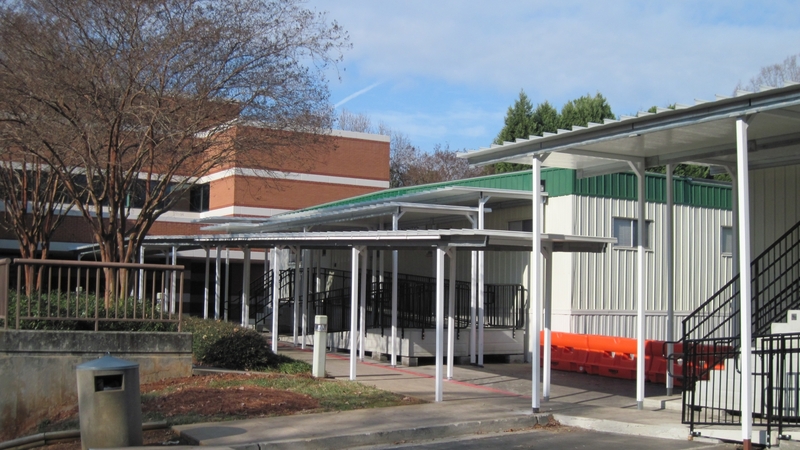 If you strictly need a temporary solution we also do on-site rentals. Contact us today! 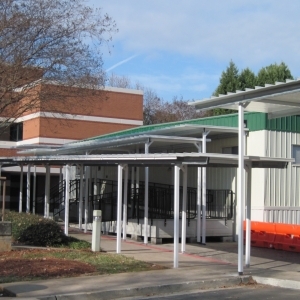 Let our team show you how we can design and build a solution for you.